Data published on the regulators website on Thursday confirms that the Central Bank of Russia (CBR) has issued the Kaliningrad based brokerage known as Fix Trade and which is the company behind the brand known as InstaForex with a forex dealer license. Even though the regulator did provide any details, it can be confirmed that this license was granted during a regular CBR meeting on the 9th of March, 2017. In June 2016 Fix trade had been denied the Russian license but it decided to reapply. 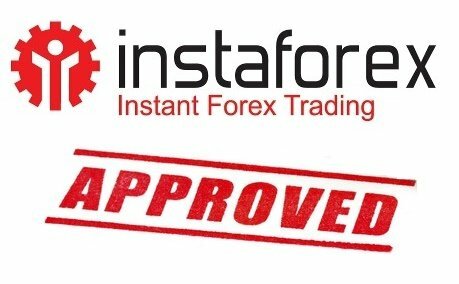 This license allows InstaForex to join other six brokers with this license who include; Finam Forex, VTB24 Forex, Alpari, TaleTrade, Forex Club and TrustForex. From the beginning of 2016 all the forex brokers based in Russia were needed to obtain a forex dealer license from the CBR so that they can operate in the country. These requirements do not apply to foreign brokers and majority of the market participants usually operate in Russia through foreign branches. These regulations allow the brokers to operate without advertising. As a result, the brokers rely on their reputations to attract clients. The brokers who have been issued with the license are unable to use them until May, 2017 when they will have the liberty to use the issued licenses. Some of the main reasons that have contributed to InstaForex being issued with this license includes that it is a major brokerage house which has a strong presence in many Russian speaking countries and also in Asia. It is an electronic communication network (ECN) forex broker and it operates in more than eighty countries with its base being in Russia. This forex broker provides access to more then a hundred forex currencies and two hundred contracts for different (CFDs) trading instruments which include stocks, features and gold. These attributes of this particular Russian based forex broker qualifies for the license even though the regulators had initially denied the license. The fact that CBR has been given the mandate to regulate the banking and all financial markets in Russia means that all the forex brokers must follow the set rules. These rules are put in place to protect trading in the forex market and ensure that the brokers do not exploit ordinary people. The rules are also meant to protect a number of national interests including ensuring the forex market does not affect the economic performance of the country. The interests being protected also include protection from foreign economies and also protection of the companies whose stocks are traded in the forex market. These tight regulations including the ones InstaForex had to fulfill before being issued with the license are put in place because the Russian government is known for trusting the local institutions. In fact, most Russians prefer opening accounts in offshore jurisdictions instead of trusting the CBR. This is attributed to the fact that most of the Russians trust the foreign brokers more than they trust the brokers from their country. Most Russians do not necessarily consider the CBR approval when making choosing the brokerage that is safer when it comes to opening a trading account. The tight regulations make some people in Russia feel as if their trading will be controlled by the RCB and the government. Therefore, InstaForex being issued with a forex dealer license by the CBR plays a significant role in enabling the company expand its operations.